Why CompetitionSuite is the Best Solution? 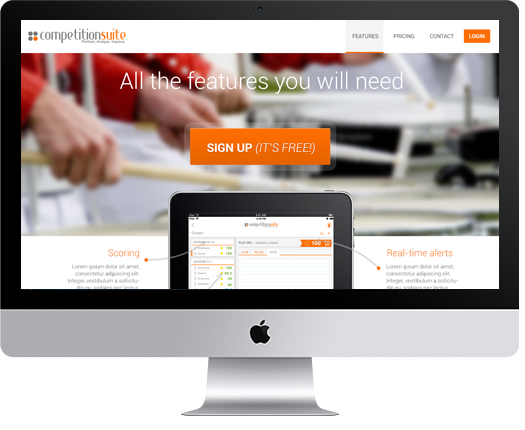 CompetitionSuite provides a single place to enter scores and upload commentary files. With CompetitionSuite you don't have to email Microsoft Excel sheets and hope the tabulator has the most up-to-date file! Plus, there's no need to collect and distribute USB drives, MP3 players, or cassette tapes anymore. CompetitionSuite lets coaches and staff all listen to commentary files at the same time without worrying about emailing the files or remembering a shared password for a dropbox account. Now the designer in California, the arranger in Florida, and the choreographer in Indiana can listen to commentary files immediately after the performance and contact the staff on site to know exactly what to discuss during critique. Don't forget about the fans! CompetitionSuite provides public, web-based versions of all recaps that you can link to directly. All of the scoring information is made available to you, so your web site can show scores with your own design.